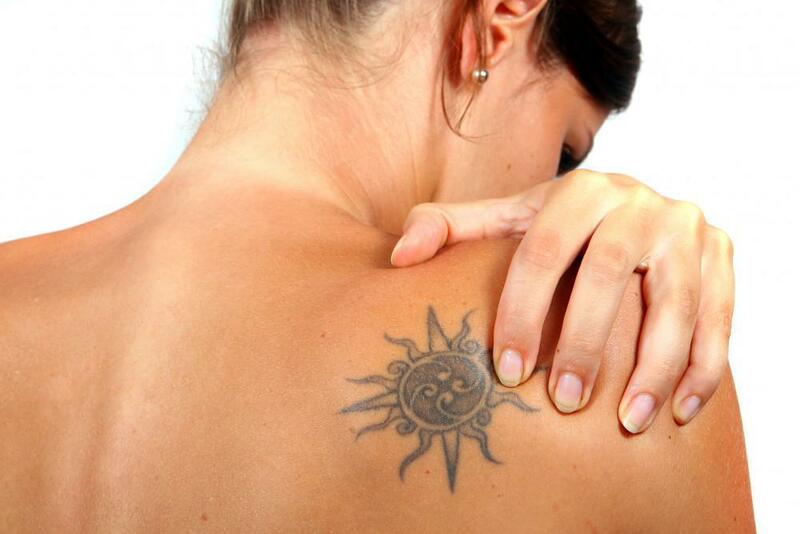 Many people have questions regarding tattoo removal. Since every tattoo is different, in order to obtain specific answers regarding your tattoo it is best to make an appointment with a specialist and have your particular situation evaluated. Dr. Jeffrey Gosin at Shore Vascular & Vein Center provides FREE consultations. You can call (609) 927-8346 to schedule an appointment and learn specific information about what can be done to remove your unwanted tattoo. Below is some basic information to help get some of your general questions answered. I already hate my new tattoo, how soon can I make an appointment to start the laser tattoo removal process? There is not a specific time period that everyone must wait after obtaining a tattoo before beginning the process to have it removed. As with many situations, every individual is unique. In general terms, the skin should be completely healed from the tattoo application process prior to beginning removal. That time will be different from person to person. You should have the area evaluated by a tattoo removal specialist who will be able to tell you when it is safe to begin. I’m really freaked out about the process, is there a way to remove my tattoo from home? 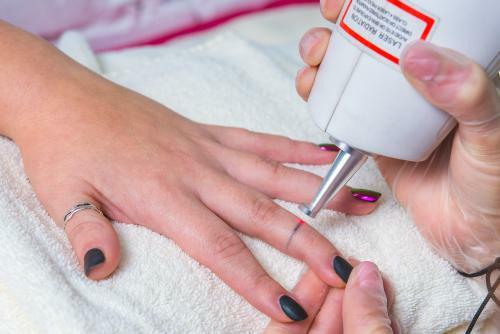 While you may see some supposed home remedies for tattoo removal advertised online or in other places, the only safe and effective method for removing a tattoo is with laser. The most advanced laser available for this purpose is Enlighten. The Enlighten laser combines picosecond technology with multiple wavelengths of laser energy to safely and effectively remove most tattoos faster and more completely than other lasers. There are make ups that can be used to cover a tattoo, but they will not remove it. Methods to attempt to remove a tattoo at home will be ineffective and possibly dangerous. After I get my tattoo removed, can I get another tattoo over it? Yes. It is common for people to want to make a change to an old tattoo. Perhaps a relationship has changed. Maybe your taste is just different from what it was years before when you originally got your tattoo. A new tattoo can be applied to an area where a tattoo was removed. Also, a portion of a tattoo can be removed and a new name or graphic can be applied to that area. Always consult with your tattoo removal physician to learn when it would be safe to get the new tattoo in the treated area. How do I prep before a session? For you initial consultation at Shore Vascular & Vein Center, no preparation is needed at all. You tattoo will be evaluated by Dr. Jeffrey Gosin. If you would like to begin treatment on that day, our staff will take care of all of the prep for you. Typically, a numbing agent will be applied to the skin and the area will be cleansed. For any subsequent treatments, you will receive detailed instructions in advance, but the process is fast and simple. How long will it take for me to start seeing my tattoo fade? How long until it’s completely gone? Every person, and every tattoo is different. Usually people will begin to see his or her tattoo begin to lighten after the first treatment. However, it is impossible to know exactly how many treatments will be needed to reach the end-point. At Shore Vascular & Vein Center we use the most advanced tattoo removal laser available anywhere. Most people can expect complete, or near complete removal of their tattoo in roughly 40 percent fewer treatments than would be required with other lasers. If you find yourself regretting your tattoo and would like to explore the best option for tattoo removal in Cape May County, Atlantic County, Ocean County or Cumberland County, make an appointment with Dr. Jeffrey Gosin at Shore Vascular & Vein Center today. Call (609) 927-8346 for a FREE consultation.